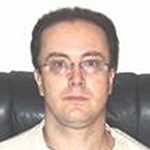 Dr Kostas Dimopoulos has studied Physics at the University of Athens and holds an MSc in Physics Education from the University of Reading (UK). He received his PhD in Education Sciences from the University of Patras. He is currently Professor of Learning Materials in the Dept. of Social and Educational Policy (University of Peloponnese) and coordinator of the postgraduate course “Education Programs and Materials” in the same department. He also teaches Didactics of Science in the Hellenic Open University. He has written seventy eight journal articles, conference papers, and recently two books. Among the international journals he has published are: Public Uniderstanding of Science, Science Education, Science Communication, Research in Science Education, International Journal of Learning, Journal of Science Education and Technology. Moreover Dr. Dimopoulos has participated in nineteen national and European R&D projects. His published work has received more than 150 citations from scientists from 25 different countries.